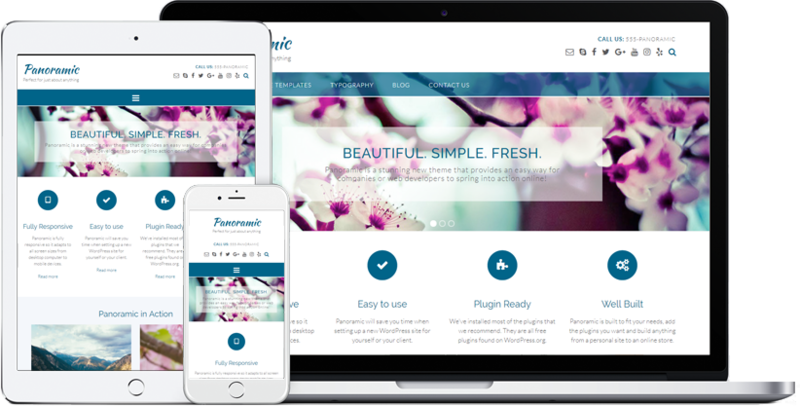 Panoramic is a well designed, fully responsive WordPress theme with a homepage slider that’s easy to customize and offers 5 star support. 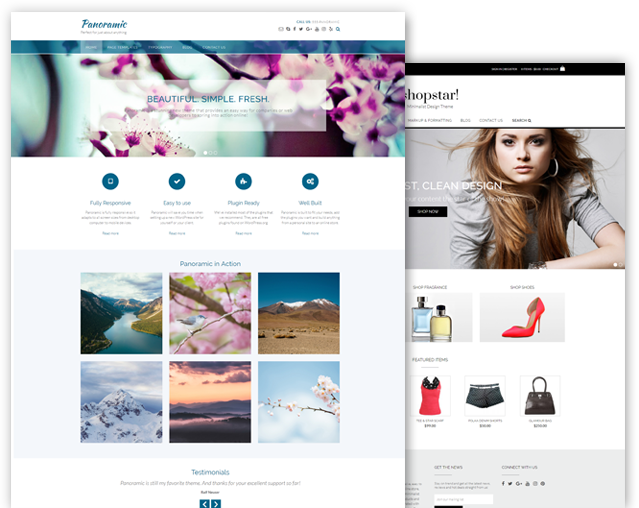 The subtle design features give it a premium feel and the wide range of flexible theme options help you create a variety of sites from a simple blog to a fully functional online eCommerce store. 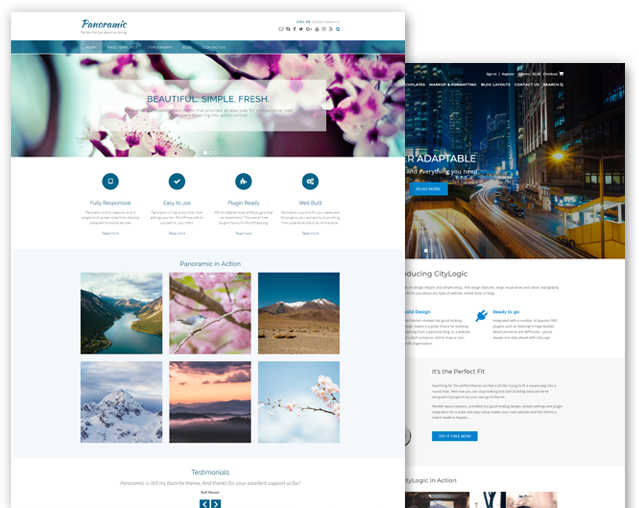 Used in conjunction with SiteOrigin’s drag and drop Page Builder plugin, you can easily build beautiful page layouts with no coding knowledge to create any website from travel to business to food, decor, lifestyle, sport and more. 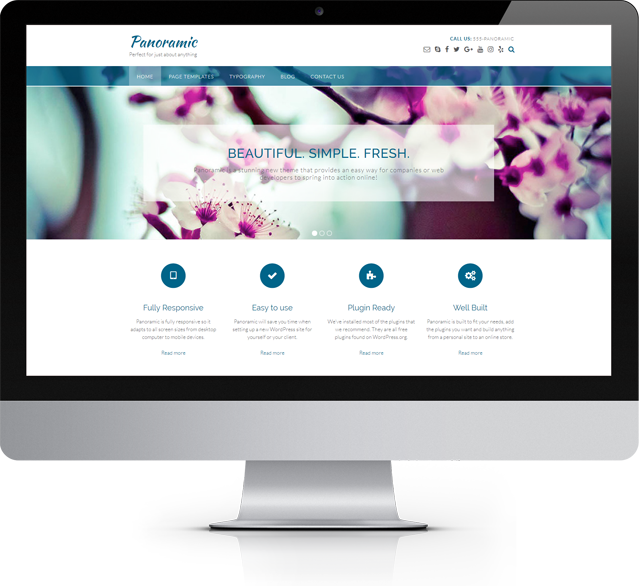 Whether viewed on a desktop computer, laptop, tablet or mobile phone, your site will respond beautifully. While the following plugins are not required to create a website with Panoramic we do highly recommend using them. Panoramic is still my favorite theme. And thanks for your excellent support so far! The theme is amazing. I love it! I love the Panoramic theme and have just started using it on a second site. 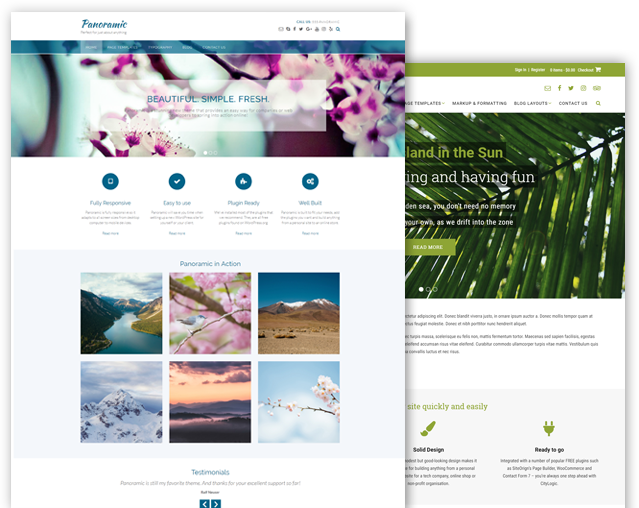 Get a discount price when you purchase Panoramic in a theme bundle. Set the alignment of the Featured Image to left, right or alternating left and right.